Ensure a clean and efficient cut on your favorite cigars with the Tabletop Large Cigar Scissors. 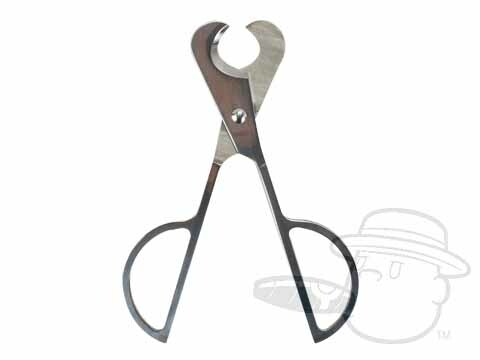 These sharp cigar scissors will put a precise, "professional" cut on any cigar. Up to what ring gauge will this cut? Why would you have an item described as large cigar cutter without putting the ring gauge size on it? Hello Johnathan, Cigar scissors are not as limited in range as a guillotine cutter and will cut up to a 70 ring gauge.